Everyone Has a Cool Research Project. How Do I Get One? Last time, we talked about amazing projects completed by undergraduate students. You probably know these #ResearchStars on your campus, too - they publish papers; start nonprofits; spend their summers in Spain doing research, and get interviewed by Huffington Post. Sounds great, good for them - but how do YOU get there? In this post, Project Lever asked our best students to decode the secrets of their success. What did they do back when they were freshmen? How did they get courage to approach faculty members? How did they choose their projects? Meet KC Walley, a recent graduate of the College of Engineering at Boston University, and Alex Graves, a senior biology major at the University of Notre Dame. 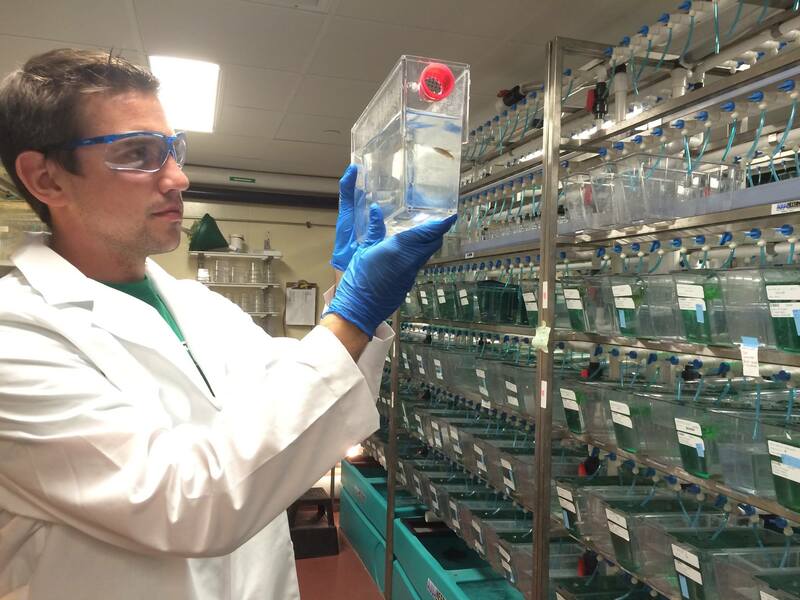 Alex Graves, working with zebrafish at the University of Notre Dame. 1. Work in any lab (hometown is fine). Start early. When KC was in high school, his school entered into an informal partnership with Brigham and Women's hospital, where students would have a chance to intern with Brigham surgeons. KC immediately jumped at the opportunity, and was accepted against the odds (fifty other classmates applied, too). He spent the whole summer in the lab, working from 8am to 5pm. "When I first started at Brigham, I wasn't expected to know anything," says KC. He had to learn the techniques of that lab. Having a basic understanding of the components of the research was helpful, but the truth is, he learned on the job. In his freshman year, Alex Graves at Notre Dame applied to a Research Experience for Undergraduates program in his hometown. This experience allowed him to work with a PhD professor for 10 weeks research a way to make a certain cancer treatment less strenuous for people. Alex studied the way that a diabetes drug called Metformin used for chemotherapy alongside Doxorubican can reduce the heart problems normally associated with the drug and also be more fatal to cancer cells. His experience laid the foundation for continuing independent research work later on his college experience. Your high school might not have offered such opportunities - and that's OKAY! Note that both KC and Alex were accepted to work in their first labs with almost zero research experience - everybody has to start somewhere! If you are curious about research, we recommend that you just try and submit a few applications, and you might get your first assignment already. If you don't luck out, though, read on. Time to strengthen your arsenal. Armed with the summer research experience, Alex took another laboratory course sophomore year, which allowed him to work on a group project through the Center for Zebrafish Research with Dr. David Hyde. "This was a little more intensive because I had to think of my own experiments to do in the area that was assigned to me," said Alex. He also had the opportunity to give many presentations, both about the proposal for the project and the data the group gathered throughout the semester. The focus of the project was to study retinal degradation of adult zebrafish, specifically a phenomena where once the retina is destroyed by high intensity light it has been found to regenerate using what are known as muller glia cells, cells which once they receive a stress signal have been found to become like a stem cell and differentiates back into a photoreceptor that helps the eye to sense light again. After the group gave a successful presentation, Alex approached Dr. Hyde and asked if he could continue to do research in his lab. "He had seen we did good work, so asking was not too stressful at all," Alex stated. Alex continued to work on the same sort of project as in the class over the next summer, then transitioned to work with another graduate student. He now does research on retinal development within zebrafish embryos. Your university almost certainly offers a class that allows students to learn research skills. In natural sciences, choose almost any class with a laboratory component. In social sciences and humanities, take classes to learn qualitative and quantitative research methodology. When you take the class, remember that the material might be new to you. To excel, ask questions to the teaching assistants, and visit the office hours to ask for help. You can do it! 3. Learn the Basics and Approach Professors! Once you are confident in your skills that you acquired through class, or basic lab work, do not be afraid to approach professors. 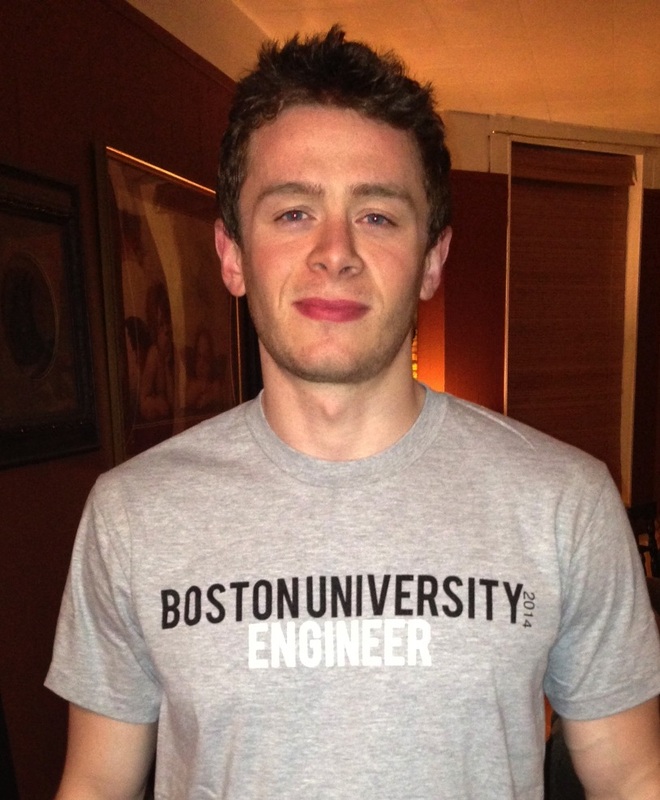 KC Walley went to Boston University, and studied at the College of Engineering. Building upon his high school research experience, as well as classes in Engineering that he took as freshman and sophomore, he approached the surgeons that he already worked for, with an idea for thesis research. He joined the group of biomechanics surgeons that work with the Red Sox team and studied the mechanics of the rotator cuff while throwing. As a group, they generated what he calls "The Frankenstein model of the shoulder" - they loaded the muscles onto a cadaver. Importantly, his skills of an engineer were highly valued by the surgeons, as he helped bring in a different perspective. 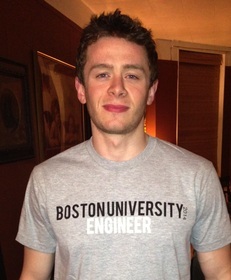 KC won the highest distinction Biomedical Engineering Senior Award at Boston University for outstanding achievement - called BME of the year by the students. "Find something you are genuinely interested in; then approach the professor face to face," say KC. "It is helpful to know some basic techniques for each lab, and perhaps to take a few classes, but prepare to learn a lot of details that are special to your laboratory of choice. In the end of the day, everyone's mom makes the dessert differently, but all of them know how to turn on the oven." KC's advice sounds true to what we know about research - learn the basics, and then once you feel confident about your professional background, start approaching faculty to work on more engaging projects. We at Project Lever wholeheartedly agree. Try approaching research opportunities from many angles! First, even if you don't have any research experience, you might try your luck and applying to research opportunities with REU or other comparable programs at your university. What if you don't score a research position right off the bat? Take a class to learn the research skills and try to do well. Seek help from your teaching assistants and the professor; go to office hours and establish a good relationship with them. Once you feel confident about knowing the basics, ask them for opportunities. You can do it! Best of luck! Next time, we will hear from faculty members. How do they recommend students approach the professors? 1. Do you have any research experience? What kind? 2. Have you taken any research classes? If not, which ones are you thinking of? 3. Did you try approaching any professors to work in their labs?